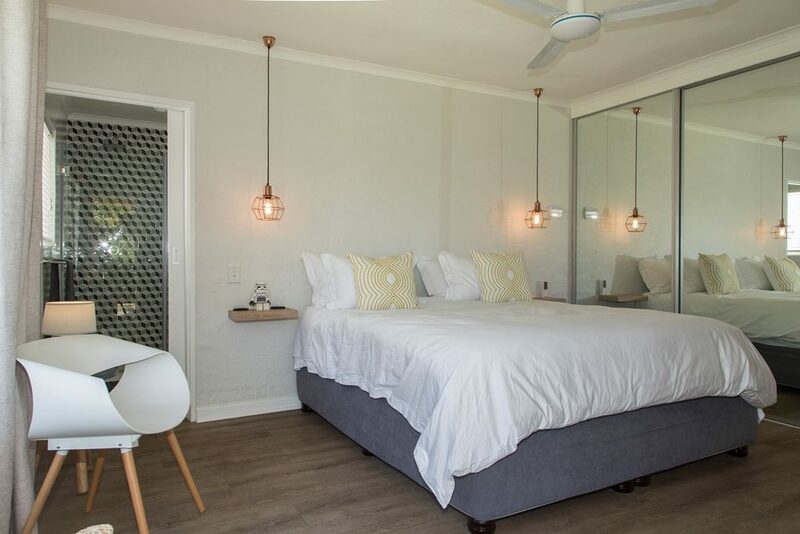 2 Bedrooms/2 Bathrooms. SLEEPS 4 max. 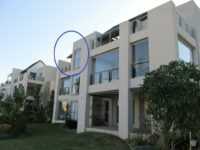 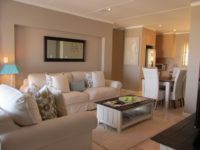 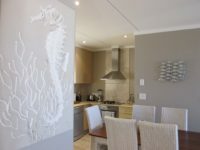 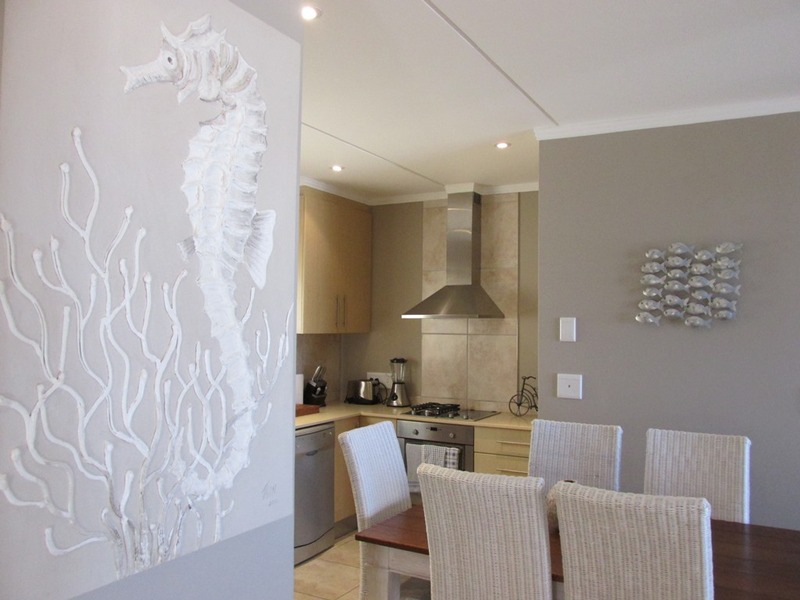 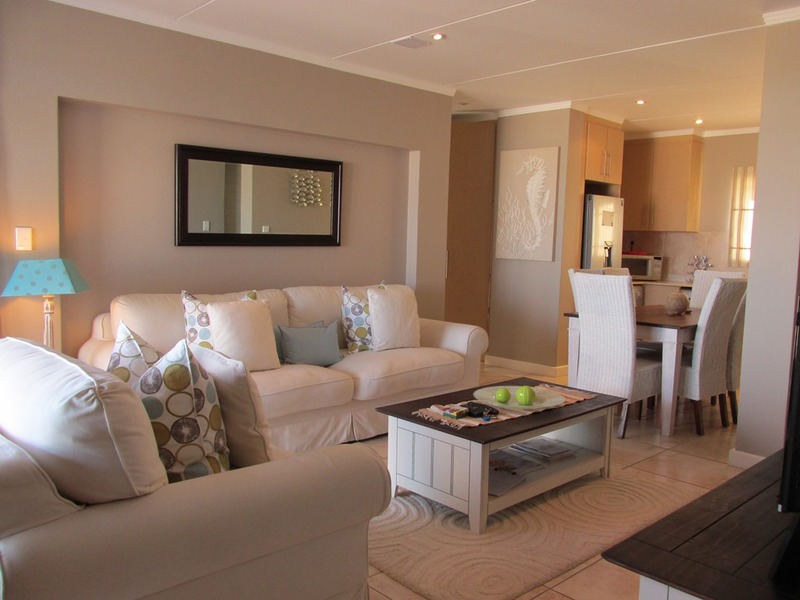 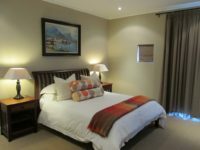 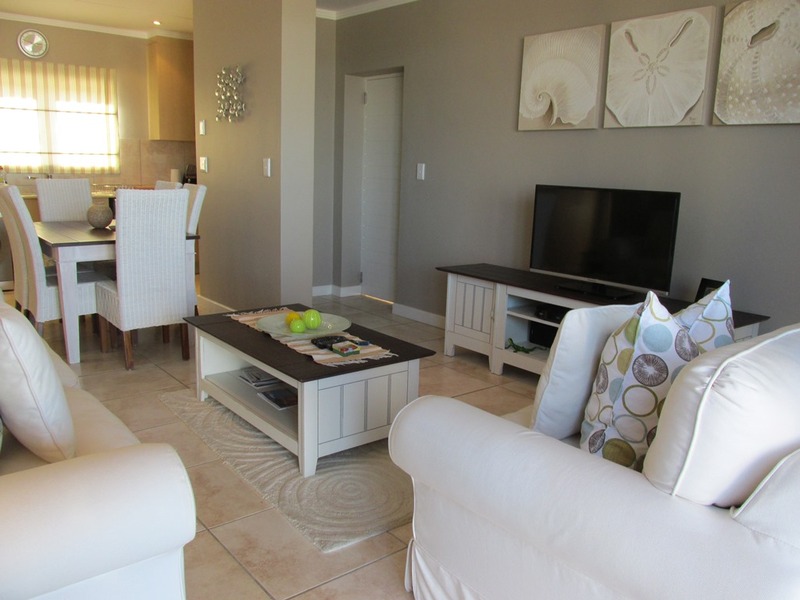 TOP FLOOR APARTMENT in the popular Thulana Hills Security Estate a few minutes to Central Beach ±2.5kms. 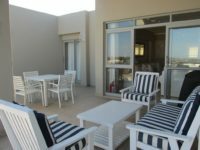 Patio and gas braai. 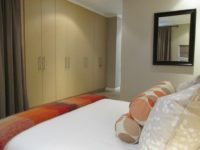 Fully equipped lock-up-and-go holiday apartment. 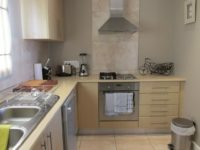 450meters to Steers and Debonairs at Shell Ultra City. 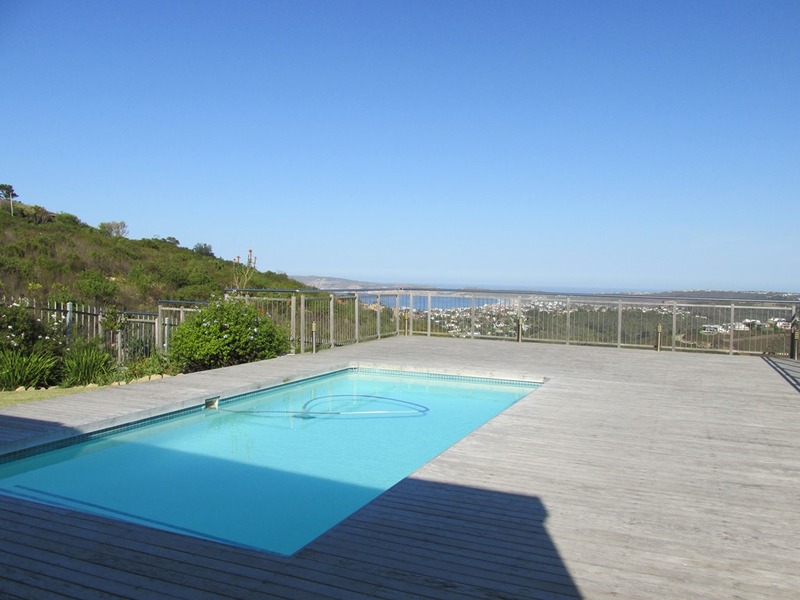 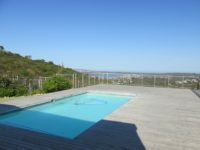 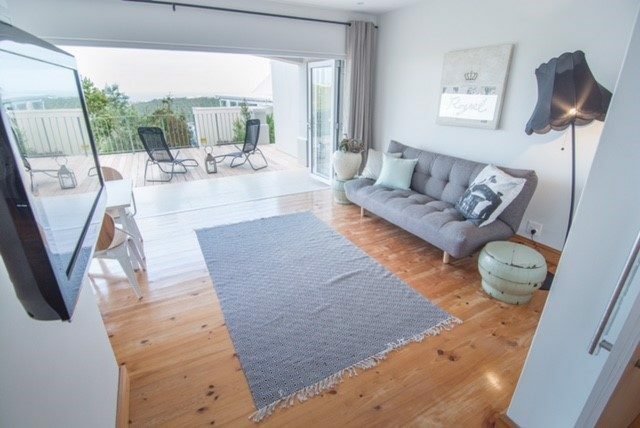 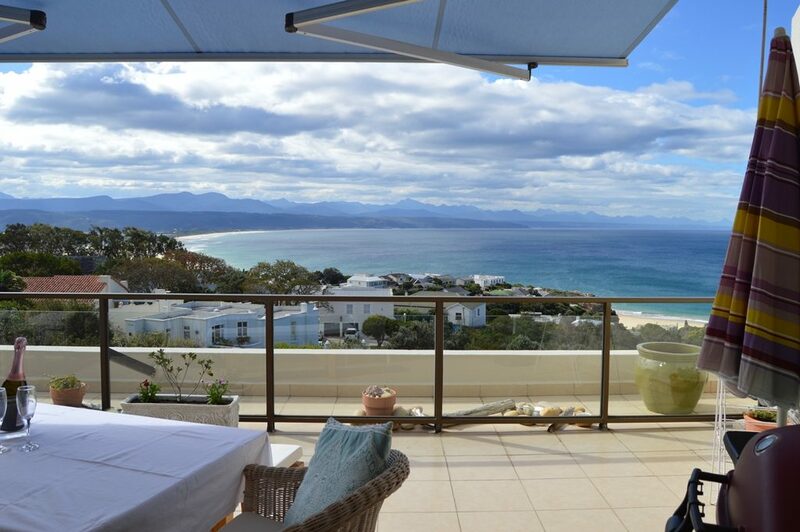 Thulana Hills has a communal swimming pool on a sunny viewing deck with views over the valley and towards Robberg Beach and Robberg Peninsula. 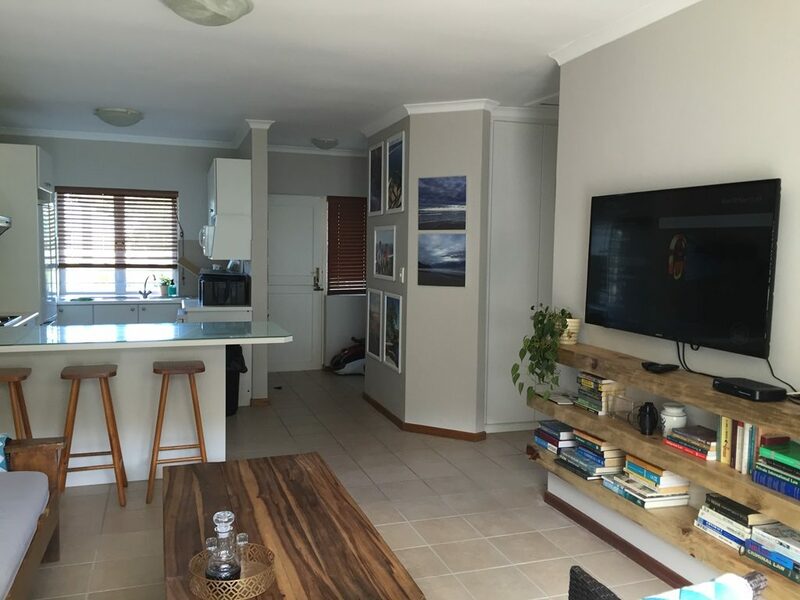 Open plan lounge, dining and kitchen. 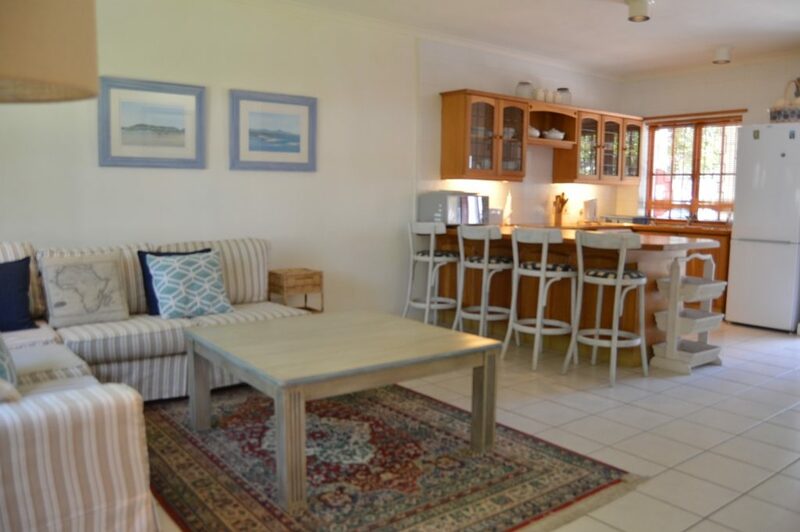 Dining inside – seats 6. 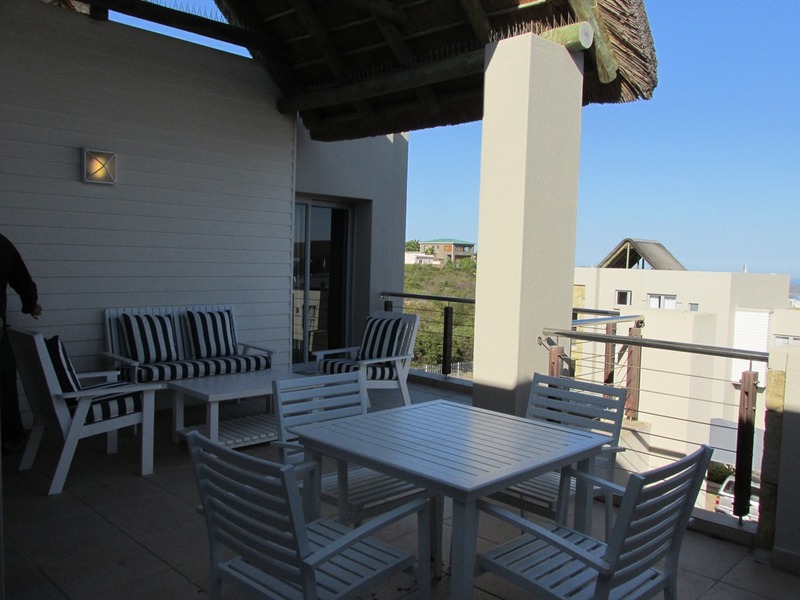 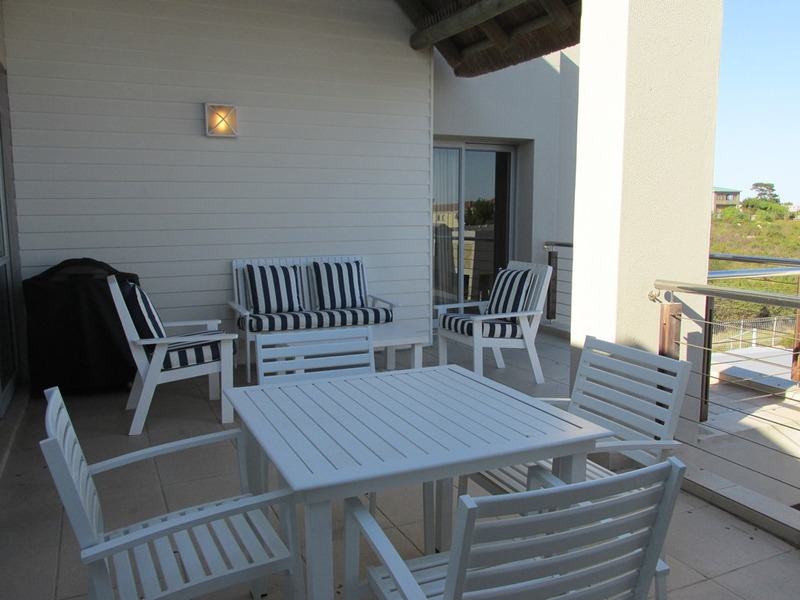 Doors lead from lounge onto the partially covered patio – thatch roofing with outdoor seating and cushions for 4, outdoor dining table for 4 and gas braai. 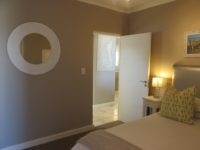 Both bedrooms are carpeted. 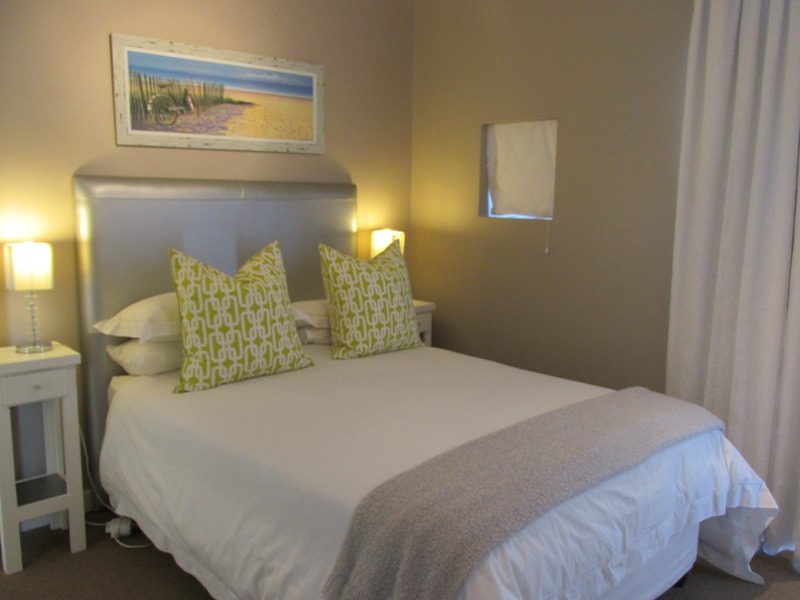 The main bedroom has a small portable air-conditioner and the guest bedroom has a ceiling fan. 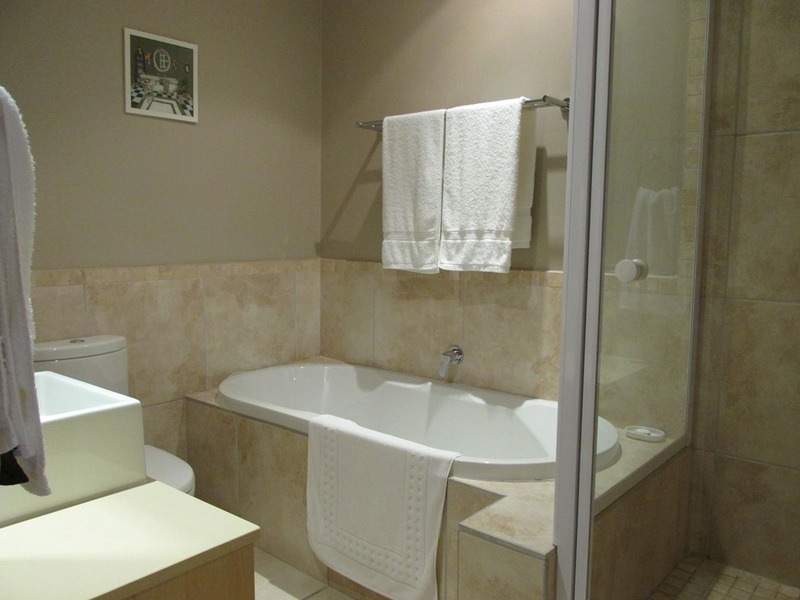 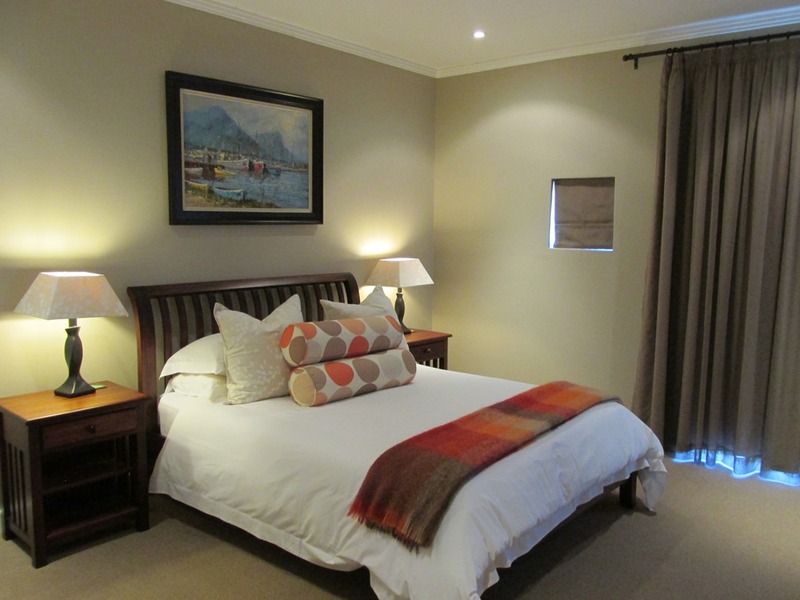 Main Bedroom: Queen sized bed and en-suite bathroom: Bath, Shower and Toilet. 2’nd Bedroom: Double bed with separate bathroom: Shower and Toilet. Both rooms lead out onto the patio and braai area. Beach Equipment available: Small cooler box, x2 beach chairs, small picnic bag. 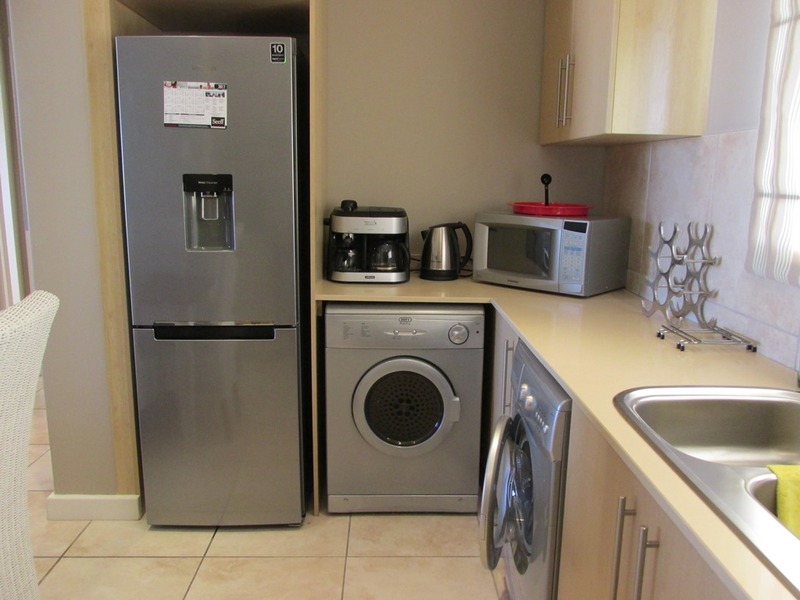 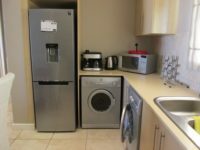 Kitchen equipped with coffee machine, dishwasher, washing machine, tumble drier, microwave, fridge & freezer. Only X1 designated parking bay under carport outside the apartment. This is fenced off from the street via main security gate ans then another remote controlled security gate.